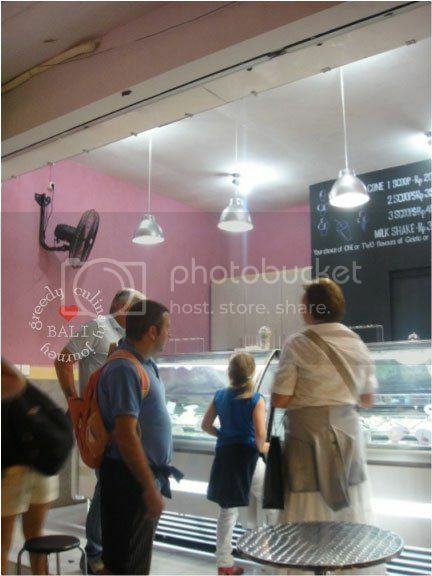 From their website, they write that the secrets of their products are love and passion for gelato.The creation of Gelato Secrets is a way for them to share it with others. The gelato is inspired from the childhood memory and love for gelato. The owners are Maria and Carlo Lentini, they bring this wonderful dessert to Bali with the authentic taste from Italy and a twist of best ingredients in the island. Savour this wonderful combination of tastes and discover the art of Gelato. They said that good food comes from great ingredients and coming from the basic rule of cooking, we believe that you can get the best taste just by exploring the best quality of ingredients. Gelato Secrets was created in Bali since 2009, they have been exploring the best fruits, vegetables and spices in the island. The great welcome to other cultures in Bali has let them to enjoy the greatest cuisine from around the world. “East meet west”, it is their passion to share those incredible discoveries to us. 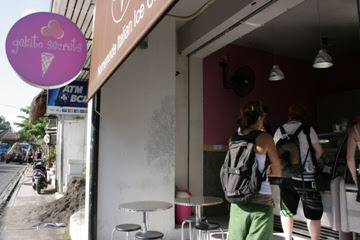 Gelato Secrets also has their branch in Sanur, it is the nearest one from Kuta or Nusa Dua, I think. 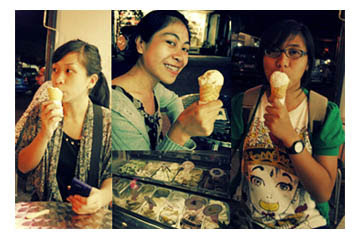 Well, to try this gelato is a must! Squeeze your time to have this incredible ice cream ever. Kou Cuisine is little shop on jalan Monkey Forest and you might missed it. 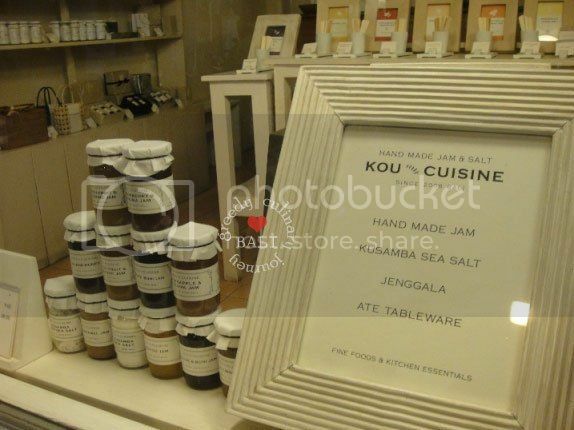 They sell handmade jam, Kusamba sea salt, and Jenggala Ate Tableware. Actually they also have shop which sell natural handmade soap, Kou Soap on jalan Dewi Sita and I was in love with their soap, I think it is one of the best natural soap I've ever had. When I was went to Bali last year, I didn't buy the jam and I kind of regret it. People love their Milk Caramel Jam, I think that time Monike bought a jar of it. The interior and facade of the shop is cute! 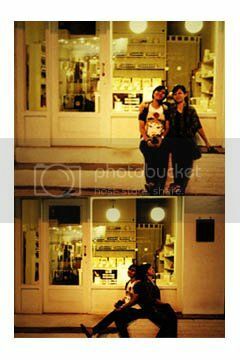 We couldn't hold ourselves just to take some pictures on front of the store and at night it was quite lovely. Definitely one of my stop during my visit to Ubud this day. Well, the handmade jam is great for gift since it nowhere to find in Bandung.